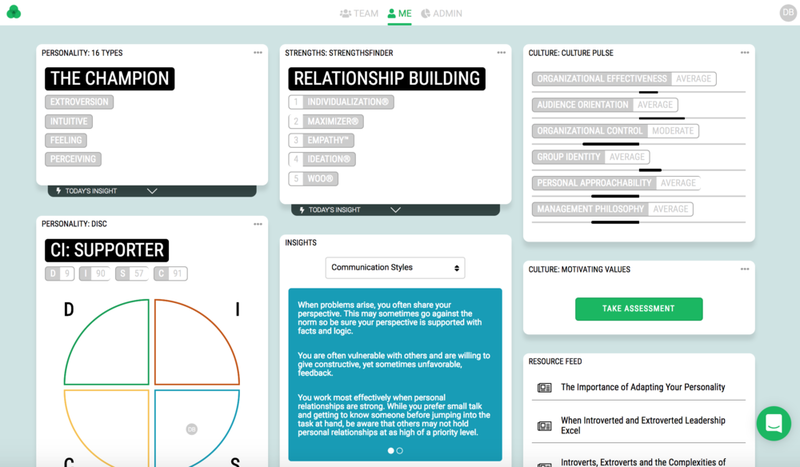 TL;DR: Say hello to an entirely rebuilt, redesigned, and reimagined Cloverleaf assessment dashboard. The personal dashboard has been rebuilt from the ground, up. And in many cases, we dug in below the surface to make Cloverleaf faster, more accurate, and easier to use. When you sign up for a Cloverleaf account, you get a unified experience that gets you to the dashboard quickly. When you take the myriad personal assessment tests available through Cloverleaf, you are treated to a custom-built design for each that helps walk you through each step. Taking assessments has never been easier, and now you have more options than ever. Oh look! A new look! And this look looks great on mobile, too! Access all your personal settings without leaving your personal dashboard by clicking on your initials avatar in the top-right corner of the screen. Show/hide individual assessment views from your personal dashboard. For "how to's", visit our Knowledge Base. (For more dashboard update announcements check out our blog post on the Team Dashboard Update and Admin Dashboard Update).